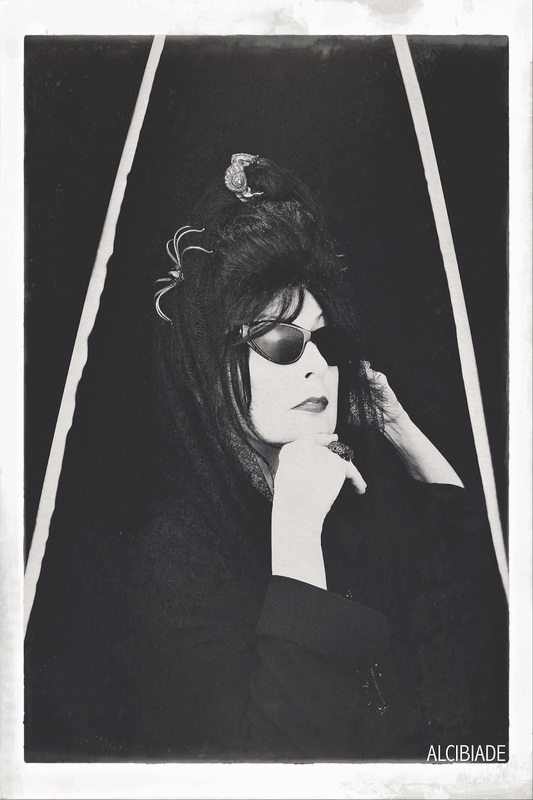 Who is Diane Pernet after all? How do I answer this…From the comments by others…”a legendary figure in fashion, respected journalist, critic, curator and talent-hunter based in Paris.” I’ve been a designer of my own brand for 13 years in New York, costume designer, photographer and filmmaker. A Shaded View on Fashion is considered one of the world’s first fashion blogs founded in February 2005 and in August 2006 I co-founded the first fashion film festival You Wear it Well and in 2008 ASVOFF was launched which is a multi-dimensional event at the crossroads of fashion and film the festival also manifests itself as an event that encompasses contemporary art, music and design. Quite simply how one expresses themselves. There is a difference between fashion and style. Fashion has a sell out date, style is timeless. Fashion can be bought , style cannot. Have you always wanted to have a perfume with your signature? Yes, when I was a fashion designer I wanted to create perfume, I dreamed about it but was not able to finance it. Four years ago I was introduced to Celso Fadelli of Intertrade and that is when my perfume dream became real. I think it's wonderful your glass-flacon design of your perfume. Did you participate with the designer ? Actually I wanted my friend Miguel Villalobos to design the flacon and he proposed amazing bottles but Intertrade felt that since the perfumes were strong and my personality strong that we should have a more minimal bottle and although I was consulted on it I did not design it. Cristiano Seganfreddo and his team did. My friend Mario Salvucci created the mini spider. This year your ASVOF (A Shaded View on Fashion) is completing 12 years. How did you create a unique brand identity for your blog? I think I never thought about creating a brand identity it just represents all that interests me in the various creative sectors. Where does your fascination with spiders come from? In fact the spider came from my friend Mario Salvucci. He used to design the jewellery for my brand when I was a fashion designer and after years of designing jewellery he stopped and started designing jewellery for the walls, lights. After about 5 years with drawn from accessories he decided to get back into it and I suppose in a way I am his muse. He was the one that came up with the idea of the spider. The spider is the protector of the world and some people are drawn to them and others repelled by them. He thought that suited me. Because I have a strong look some people are afraid and others are drawn to me and it is all about a network and a web and the web is part of my DNA. I used to love clipping roses and being intoxicated by gardenias. No one really. Everything I do is quite organic. I cannot single any piece of art or personality that I try to emulate. I could say Maria Antoinette for high hair or Goya for the veil but that is really searching for something to tell you. Who is your favorite designers and why? I love and wear Dries Van Noten, he just makes beautiful timeless clothes that always feel like you’ve owned them for life and that they are precious to you but comfortable, I love Rick Owens because he is a genius, Bernhard Willhelm because he has a great sense of humour and also his clothes are comfortable, I wear KTZ, I know I don’t look like someone that would be into streetwear but it suits me just fine and also UEG, I have a coat of his and a bag that I love to wear. David Szeto makes my skirts because he knows how to cut and recently Marc Audibet draped a beautiful dress on me that I wore to the BOF Gala in New York and it was a dream. When I was a designer and Bill Cunningham used to do about 30 pages of the collections in Details magazine, the only designer that I adored was Marc Audibet so imagine my joy when he offered to make a dress for me. Could you name a new fashion designer to keep an eye on? I like Hyun Mi Nielsen, she is doing couture and I love her sensibility and of course Angel Chen. I love how she combines her culture with an international flavour. Great cuts especially her outerwear. Do you think the fashion world, as it is now, is logical? I don’t know that I would call fashion logical nor if it should be logical. I think fashion should be about desire because none of us need more clothes…if a piece can make you desire it then it is a success. I don’t believe in buying things just because they exist. Are you spiritual in any way? I believe in a force outside of me. Yes. I think I’m spiritual but I don’t see the point of talking about it I think it is much more important to live it. Injustice. I am a libra, 5 planets in libra and justice is important to me. I have no tolerance for fake or self important people. Peace. Probably I would have more of it if I was not so obsessed by what is going on now in politics which is a disaster. I just saw The Square and I loved it. Opening Night is a film I could watch over and over again. I love John Cassavetes. I like both the Spring and the Fall equally. The cycle of nature in the spring all is blooming and in the fall the leaves are dropping and it is also a sign of a new beginning. 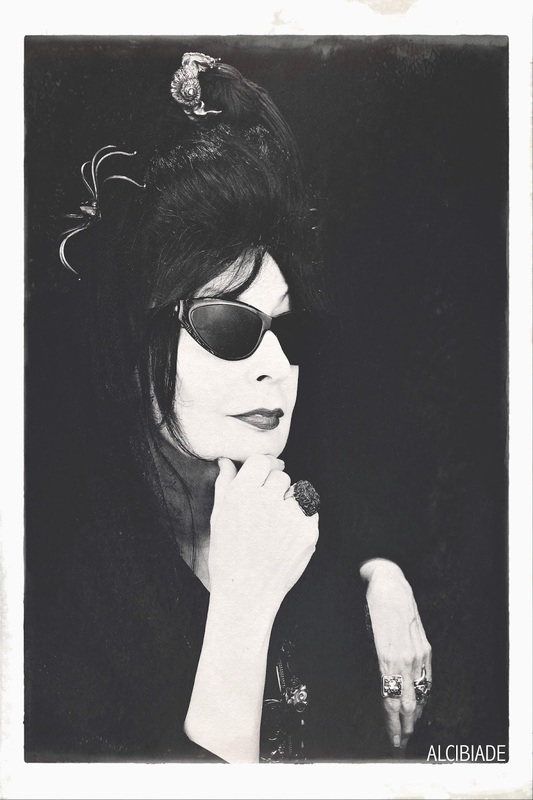 The final question: What can we expect from Diane Pernet in the future? To continue to build the festival world wide, to create more perfumes and currently I am working with Casa93 on a personal project to inspire Kids in the Banlieu about fashion films. It is a workshop that is free and to give opportunities to kids..from 17-25 mostly, that could not afford to go to film or fashion school and have talent. I like creating platforms as you might have noticed but in this particular case I am joining Casa93 to support their efforts. Thank you very much, Diane Pernet!